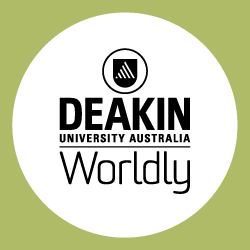 Deakin University is seeking a Professor Of Terrestrial Ecology. The Professor will provide outstanding academic and research leadership in the area of terrestrial ecology and promote the School within relevant academic and professional communities in Australia and internationally. The appointee will initiate and contribute to School and Faculty teaching, research and program development and entrepreneurial activity in the area of ecology and environment. Evidence of recognition as a leader in terrestrial ecology. Deakin University values diversity, enables access and promotes inclusion Deakin University is proud to be recognised as an organisation that offers a friendly and supportive working environment. Our staff are committed to genuinely making a difference to thousands of people’s lives by contributing to excellence in their education. We acknowledge the importance of providing a dynamic and diverse working environment and strive to offer variety in day-to-day roles as well as various career and professional development opportunities to assist staff to grow and progress their careers. Deakin University staff have the opportunity to interact with colleagues from a diverse range of cultures and professional backgrounds, all who share a common interest in lifelong learning. Furthermore, our staff enjoy the physical location and natural surrounds of our working environments, which they report as enhancing their job satisfaction. Alongside our international and Australian partners, Deakin University operates on four main campuses; Melbourne Burwood Campus, Geelong Waurn Ponds Campus, Geelong Waterfront Campus, and the Warrnambool Campus. We also have a location in the Melbourne and Warrnambool CBDs as well as learning centres across regional Victoria. The University may require staff to work at other locations outside their primary place of work. For a full copy of the position description and to apply online, please visit www.deakin.edu.au/careers-at-deakin.